Home News Folks Are Surprised if Illhan Omar’s View of AIPAC Was Really Anti-Semitic? Folks Are Surprised if Illhan Omar’s View of AIPAC Was Really Anti-Semitic? You are not free to criticize Israel’s atrocities in Palestine as it makes you earn the tag of anti-semitic. 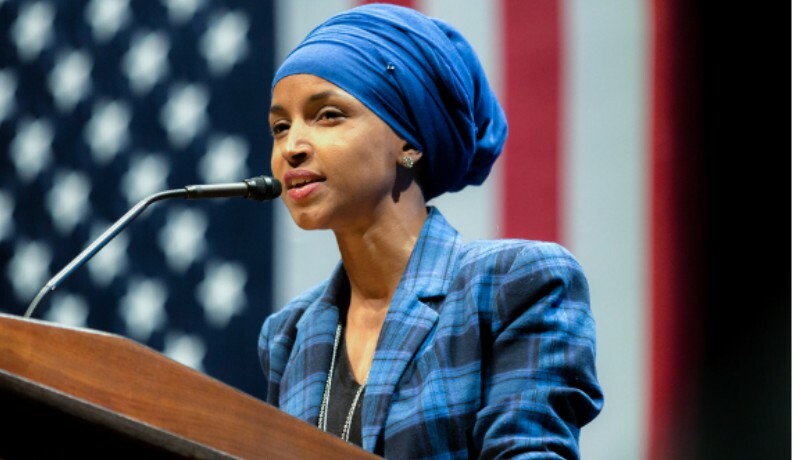 The recent case of Illhan Omar, the member of the House of Representative from Minnesota, is proof that sharing an opinion against Pro-Israel lobbyists is deemed as an act of anti-semitism, even if the person has no such intention. So, Pro-Israel lobyysists are exploiting the word “Anti-Semitism” to stifle freedom of speech and shut the voices against Israel’s Human Rights violation in Palestine. It all began after Ilhan’s response to the journalist Genn Greenwald’s tweet in which he shared an article about GOP leader Kevin McCarthy’s response to Illhan Omar and Rashida Tlaib’s criticism of Israel. Omar in fact, referred to AIPAC ( American Israel Public Affairs Committee) as Benjamins. Omar opined that AIPAC a non-profit organization that doesn’t directly funds the politicians was funding the pro-Israeli voices in Congress. Her remarks didn’t go well house speaker Nancy Pelosi who asked Omar to apologize for being “anti-semitic”. After facing harsh criticism for her percieved to be anti-semitic remarks, Illhan Omar tweeted an apology. Did She Really Need to Apologize? Many Twitter users think that Omar didn’t need to apologize for her remarks as they were not anti-semitic in the first place. The congresswoman criticized AIPAC for influencing opinion and funding a narrative. She didn’t mean to target the jewish race in any way. The Democratic leader, as she said in her apology didn’t mean to commit anti-semitism. It is to be noted that Illhan Omar and Rashida Tlaib are first-ever Muslim Congresswomen in the United States of America. Hence, it is indispensable for some right-wing folks to not judge their opinions on the basis of their religious beliefs. People came out to support Illhan and opined that criticizing AIPAC is not anti-semitic. The world needs to understand that criticizing Israel and lobbysts doesn’t make a person anti-semitic as critcizing Saudi Arabia doesn’t make them Islamophobe. So United States government needs to hold itself accountable for discouraging freedom of speech by blaming those who raise their voices, of committing anti-semitism. People even came to second Illhan Omar’s narrative of AIPAC funding politicians to voice Israel’s concerns. $3,518,028 to politicians of both parties. They aren't exclusively GOP focused. Here is another threat how AIPAC pays money to politicians for backing pro-Israel policies in congress.